As far as tools go, I am really picky. Really, really picky. For a long time I had the Logitech Touch Mouse M600 which is a lot like a wireless mouse with a touchpad on top of it. But it’s mouse shaped and full size. I liked it just fine. Unfortunately the little bumpers on the bottom wore off and it started dragging on surfaces. Logitech promptly responded to my warranty claim but I was on a campout with the kids and didn’t research my options well enough (the Touch Mouse wasn’t available any more). So they sent me the Logitech Ultrathin Touch Mouse T630. I hated it. It’s meant to be a ‘mobile’ mouse for use with laptops and such. But I have big hands (I think they’re normal size) and this felt like moving a pink eraser around on my desk- Ultrathin isn’t an exagerration. It’s so thin that it doesn’t have space for batteries. You have to plug it in via usb just to charge it. Words fail me. So I set off for in search of a better mouse. And I ended up with a mouse that I really love. 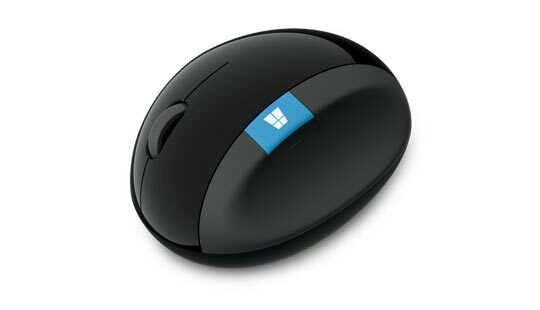 It’s the Microsoft Sculpt Ergonomic Mouse. It has a physical scroll wheel which annoyed me after the Touch Mouse. But I got used to it. For maybe a day it felt odd. But it really does feel natural. My hand feels relaxed when I use it- it’s just the right shape. Now to be clear, this is not the Sculpt Comfort mouse- accept no substitutes! Sculpt Ergonomic mouse is what you want. Of course, I’m using it with Ubuntu. That blue Windows button on it activates the Dash just like a regular Windows key. The other button works too. The only thing that occasionally goes wrong is that the scrolling gets weird- scrolling way too many lines at a time. It feels like you’re jumping to a completely different part of the document. Dual-booting to Windows might be what sets this off. Anyway, the fix is really simple. Just unplug the USB dongle. Not the mouse power- just unplug the dongle, wait for a bit, and plug it back in. The scroll settings will be reset and you’re back to work.